The Great Debate: Will J. Cole Become A Mainstream Star? The topic is stated above: Will he be a mainstream icon in hip hop? Personally I’d say yes, J. Cole already has a ton of fans who have barely heard any good music from Cole. The dude definitely has potential but he hasn’t put out much as of yet that can make me say that he is really good. I was on this guy early, I was only 13 when The Come Up (His first mixtape) came out and I still listened to that mixtape right around when it dropped and I thought the kid was better than most. His next tape, “The Warm Up” upped the ante and I really saw some potential for him to blow up, and that he did. But now the problem is that he left off at “The Warm Up”. I’ve heard only a couple of good tracks from Cole since that and I’m just hoping that he is saving all of that good stuff for his album so that when everyone says that his album was amazing, I can actually agree. There’s my opinion on basically just J. Cole. You can read the debate at the link below. 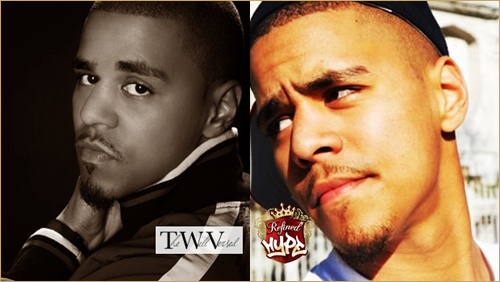 READ: The Great Debate: Will J. Cole Become A Mainstream Star? That’s the opposite for me haha.